The government is making progress on its plan to reduce the cost and complexities related to government websites with a massive 1500 sites closed down since the programme began. The number of government websites now open stands at 444, which is almost half of the number last year, according to the Central Government Websites annual report. "The closures are part of the government's programme to make sure that public services are moved online in a coherent, accessible way, whilst cutting unnecessary spending on multiple websites," said the Cabinet Office. Sites shut down so far include: courtfunds.gov.uk; publicguardian.gov.uk; ips.gov.uk (Identity and Passport Service); hmcourts-service.gov.uk; and hmprisons.gov.uk. The Department for Education has closed three websites: Teachernet.gov.uk; Governornet.gov.uk; and Standards.gov.uk, which has saved £1.7m. 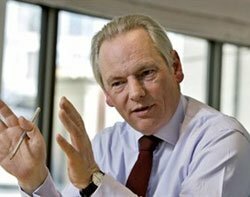 Francis Maude, minister for the Cabinet Office (pictured), said: "We are cutting costs, duplications and contradictions to make government web services easier to use and cheaper for the taxpayer." The government wants to introduce a single URL for government online services and developed an alpha version of a pilot website - which could replace all .gov.uk URLs. The Alpha.gov.uk project, which is now in beta, resulted from Martha Lane Fox's review of the government's digital services offerings. It was developed using agile software development techniques, crowdsourcing and cloud computing.